The following informative article was posted on the Handcrafted Soapmakers Guild Blog. The Handcrafted Soapmakers Guild, Inc. is an international non-profit professional trade association promoting the handcrafted soap industry. Click here to find out more about the Handcrafted Soapmakers Guild Inc.
On July 20th, The Safe Cosmetics Act of 2010 (H.R. 5786) was introduced by representatives Schakowsky (D-IL), Markey (D-MA) and Baldwin (D-WI). [Read the entire bill (47 pages)]. Who does this bill affect? • Any establishment located in any state that manufactures, packages or distributes cosmetics. • Any foreign establishment that exports cosmetics to the United States without further processing or packaging outside the United States. Any changes to the registration will be made within 60 days. Once the registration is completed the establishment will be assigned a registration number. The FDA will maintain a list of establishments that are registered and portions this list will become public information. Any establishment that fails to provide complete information of fails to register will be removed or suspended. A fee schedule will be determined by the FDA. All companies with annual gross receipts of less than $1M will not be assessed a fee. All products will be labeled with the name of each ingredient in descending order of predominance. A contaminant or trace element is not required to be listed if the contaminant is present at levels below technically feasible detection limits. All products sold in e-Commerce would be required to have an ingredient list on the website as well as the product label. This includes the establishment's website as well as the websites of their distributors. (It will be the responsibility of the manufacturer to keep up with what is on the list and what is added to the list, at this time it is not clear how this list will be maintained and in what format). • There is insufficient data to determine whether the cosmetic and its ingredients meet the safety standard. (The safety statement will be required for each product that you sell; it is not clear what is done in the case of a product that has insufficient data). • The title and full contact information for the individual responsible for submitting and maintaining such statements. Any changes must be made in a timely manner and notification will be made to the Secretary. Each statement will be assigned a cosmetic statement number by the Secretary upon submission. (This means EVERY product that you manufacture and market to the public which will limit your ability to change and try new products on short notice). • A serious and unexpected adverse event. All information submitted to the Secretary shall be deemed public information and nonconfidential with the exception of the concentration of cosmetic ingredients used in a finished cosmetic. The position of The Handcrafted Soapmakers Guild is to act as an advocate in all areas that affect the manufacture, sale and distribution of handcrafted soap as defined by HSMG Policy 2005-04-28 Position Statement. Handcrafted soap under these definitions can be either a soap or a cosmetic depending upon how it's formulated and labeled. The FDA's website has a page with a very good definition of whether your soap is a soap or a cosmetic. To re-educate yourself click here. • Is poorly written and confusing. • Places too much of a financial burden on small business. • Over regulates an already safe industry. 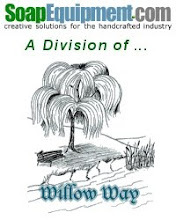 • Destroys the creativity and flexibility of small handcrafted soap manufacturers. • Creates further job loss and loss of local revenue in already tough economic times. Therefore, the HSMG is against H.R. 5786 The Safe Cosmetics Act of 2010 as written. This information has also been posted to the HSMG Blog and I would welcome your comments there. The HSMG will be monitoring the progress of this bill and making our voice heard in Washington. Additional information will be posted to the blog and sent out to members as it becomes available.